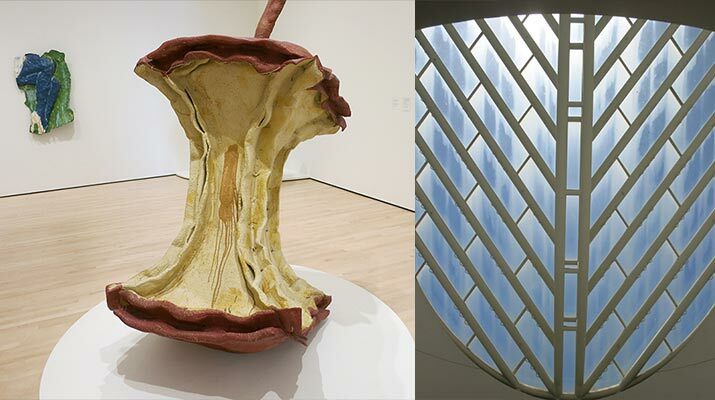 New SFMOMA – San Francisco Museum of Modern Art. Kids can explore a steel structure round-and-round maze by Richard Serra, see works by Matisse, Picasso, Miro, skip around open-air Calder sculptures, search for numbers 0 to 9 in a painting by Jasper Johns, and stand up close to see a portrait dissolve into squares. Tips for visiting San Francisco during the Christmas holidays with kids – landmark hotels with sugar trees and gingerbread houses, ice skating, light show under the dome, and more.